After 9/11, many Americans took the view that the attacks on the World Trade Center and the Pentagon were the leading edge of a new war: Islam versus the West. Yet the attacks were also part of the current struggle within Islam between fundamentalist and moderate approaches and were staged for maximum effect in the Muslim world. 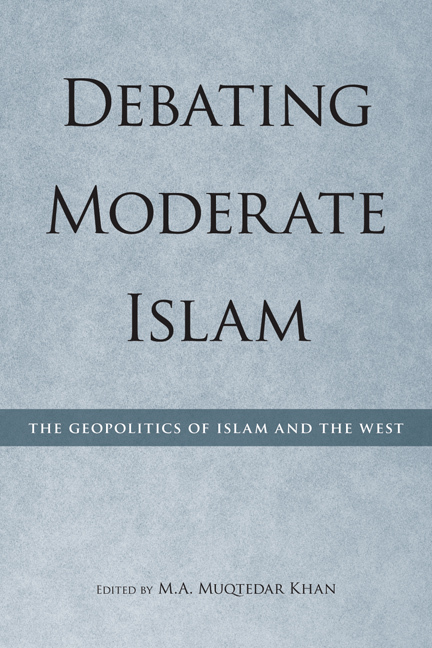 This book is based on a special-topic issue of the American Journal of Islamic Social Sciences (Fall 2005), and brings together prominent Muslim voices from the policy and academic communities to debate the nature of moderate Islam and what moderation means in both a theological and a geopolitical sense. Participants reflect on the future of political Islam, its role in Muslim politics, western policies in the Muslim world, and the future of American-Muslim relations. This book and the debate it presents are vital to understanding these complex issues. M. A. Muqtedar Khan is assistant professor in the Department of Political Science and International Relations at the University of Delaware and a nonresident fellow at the Brookings Institution. He is the author of American Muslims: Bridging Faith and Freedom and Jihad for Jerusalem: Identity and Strategy in International Relations. "The role Islam will play in the twenty-first century, the predicament of U.S.-Muslim world relations, the status and concerns of Muslim minorities in the West, the questions of Islam, Islamists, and democracy...are some of the most important and vexing political, social, and religious problems of our time. Muqtedar Khan is one of the brightest thinkers and most eloquent voices in the American Muslim community on these issues and he has assembled a veritable 'Who's Who' of scholars, thinkers, and leaders to wrestle these complex and important questions." "This book is important and interesting. It succeeds...by showing the range of opinions among scholars, policy analysis, and practitioners of Islam."